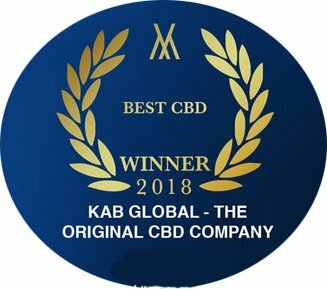 Winner of the best CBD at the Vapouround awards at Vaper Expo 2018. Our newest line of CBD, The Original CBD, is our best yet in terms of quality, strength and value for money. The Original CBD is supplied to us with full batch test data so that we are sure of the quality and of course the legality of the product. CBD Oil will not get you high as it has the illegal chemical "THC" removed from this product. Cloudstix would not sell a product that was illegal in the UK or other regions. The Original CBD is totally flavourless making it perfect for dripping under your tongue or indeed vaping with your favourite E-Liquid. If you are trying CBD for the first time we highly recommend starting on 100mg. Then depending on your reasons for needing CBD you can progress to the other options available. Whilst we cannot claim any medicinal benefits to CBD, a quick google search for your symptoms related to CBD should tell you how it has benefited so many sufferers. IMPORTANT INFORMATION: DUE TO NEW TERMS AND CONDITIONS BY VISA / MASTERCARD & PAYPAL WE CAN NO LONGER TAKE PAYMENT FOR CBD ONLINE. HOWEVER, IF YOU HAVE CBD REQUIREMENTS PLEASE CALL US ON 0345 257 6544 AND OUR TEAM WILL HANDLE YOUR REQUIREMENTS. Original CBD 100mg The perfect strength to try .. Original CBD 300mg Sometimes you may require a .. Original CBD 500mg In some cases depending upon..